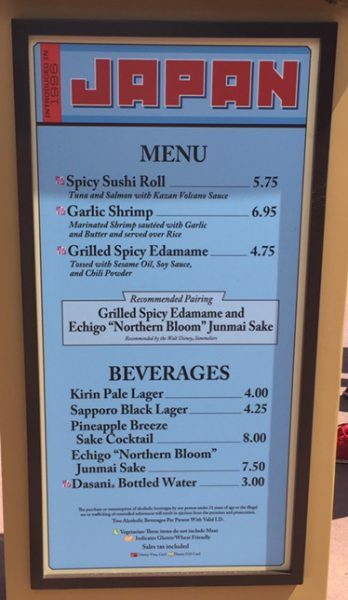 Food & Wine ’16 Menu: Japan | It's "All in WDW"
If Japan’s Marketplace were a movie, its sushi roll and spicy edamame were supporting actors. The “star” should have been the Garlic Shrimp. Sadly, that “leading dish” fell a little bit flat.